Selenite is the name for transparent, colorless to near colorless crystals of gypsum, a hydrous calcium sulfate that is found in a number of forms. 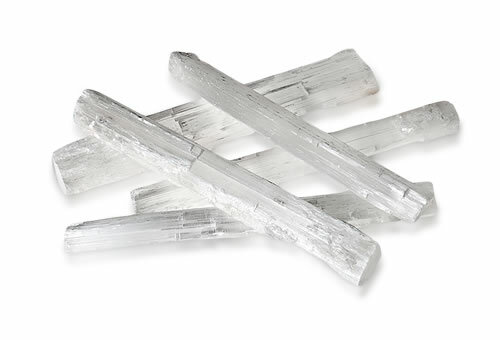 The name "selenite" comes from the Greek word selene, meaning "moon", no doubt in reference to the gem's white glow. Gypsum, in all varieties, is very soft and has perfect cleavage so it should be handled with care. Transparent colorless variety of gypsum.